We have seen a frog play Ant Smasher on an iPhone, and now we have a cat that plays the popular app Fruit Ninja on an iPad. 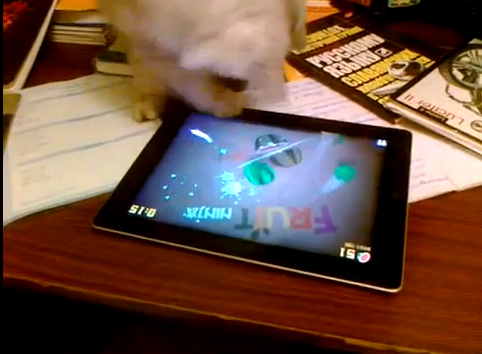 This cat not only plays the game but it does very well, earning a score of 128 on Fruit Ninja. An iPad turns into an expensive cat toy as this feline starts slicing fruits like mad and manages to get a Fruit Ninja score of 128.